Device migration strikes dread in the hearts of IT admins everywhere. It’s expensive, time-consuming, and often results in data loss. 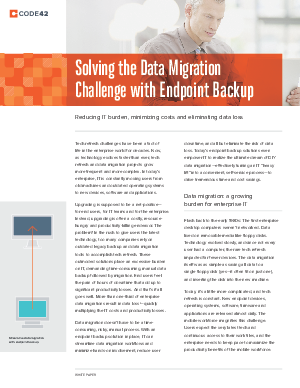 As the amount of enterprise data on laptops increases, the time and burden it takes to manage the continuous tech refresh process increases as well. But it doesn’t have to.